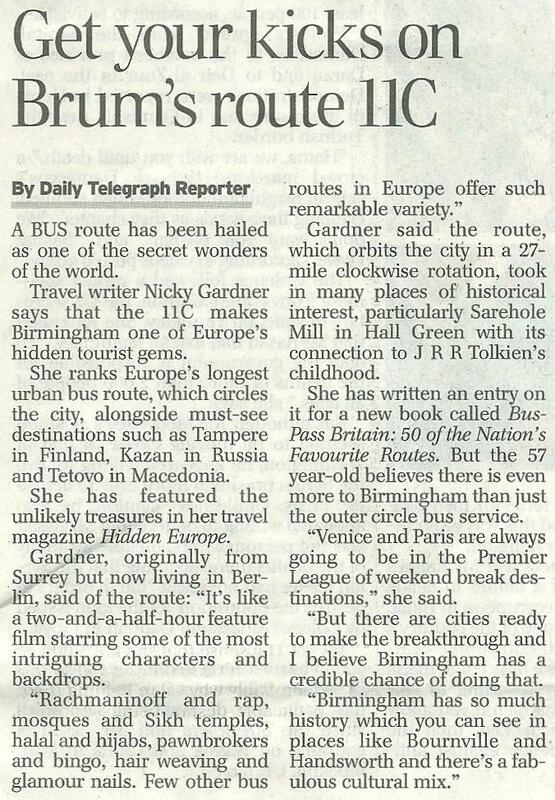 The Outer Circle has been in the news during the last couple of weeks thanks to the Hidden Europe book by Nicky Gardner which features the bus route as a tourist attraction! We’re planning to put out more information from the start of September 2011. This entry was posted in 11-11-11 and tagged 11-11-11, 1950s Birmingham Corporation Double-Decker, Birmingham, birmingham mail, hidden europe, nicky gardner, Outer Circle, Outer Circle Bus, tweets, wonderbus. Bookmark the permalink.